Happy Mothers Day, Everyone! The season when you express your love and gratitude to your Mother is here! Why don't you prepare a small but thoughtful gift for your mother on this Mother's Day? It will be a great way to make your mom feel special and make this Mothers Day unforgettable for your mom! Our eco-friendly canvas bags are made of 100% canvas cotton that is durable, foldable, washable and reusable. Our graphic canvas bags come with style, convenience, and practicality that you can bring your personal belongings and easily take in and out whenever you need. We offer hundreds of cute, funny, humorous, and laughable designs for special occasions, and all our designs are created, printed, and shipped only from California, USA. 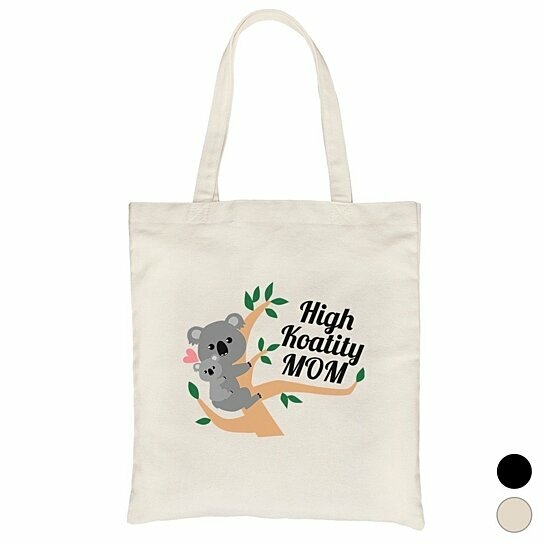 These cute tote bags will your mom's go-to bags for grocery, gym, beach, and many more. Not only that, these can be a perfect gift for mom's birthday, grandma's birthday and even Christmas. Show your appreciation to your loving devoted moms with our cute gifts and put a smile on her faceStart Shopping Now!